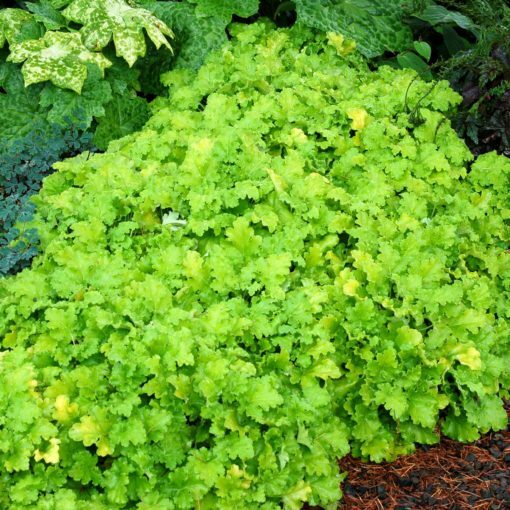 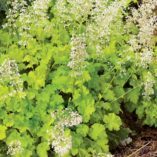 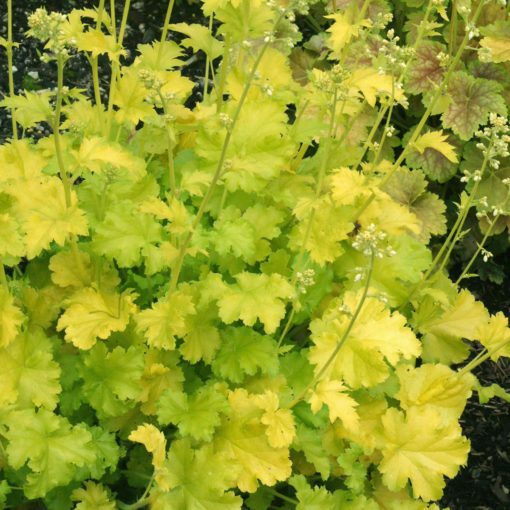 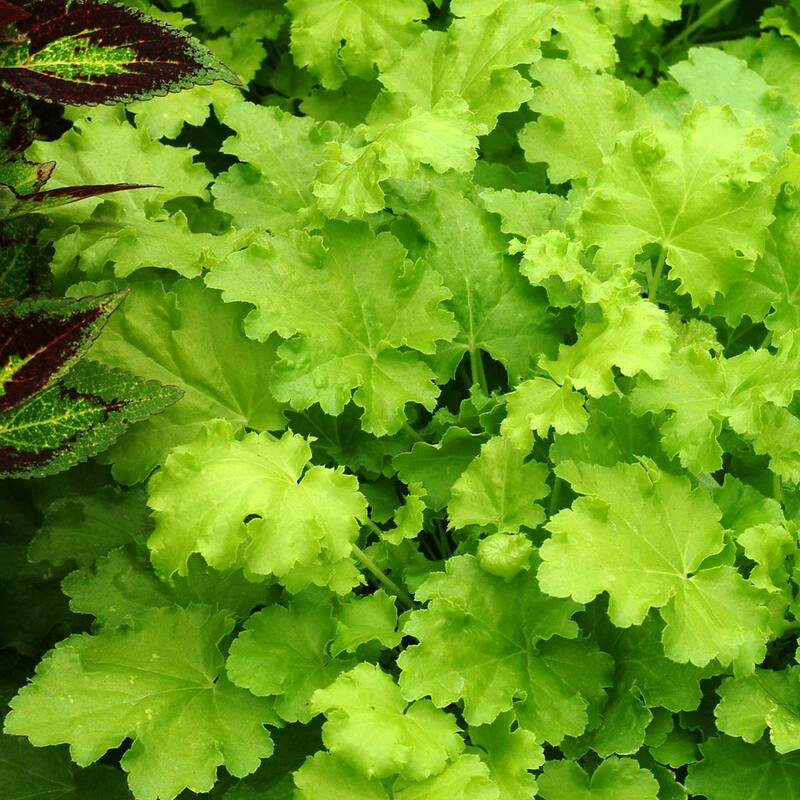 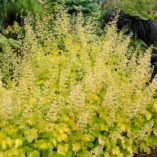 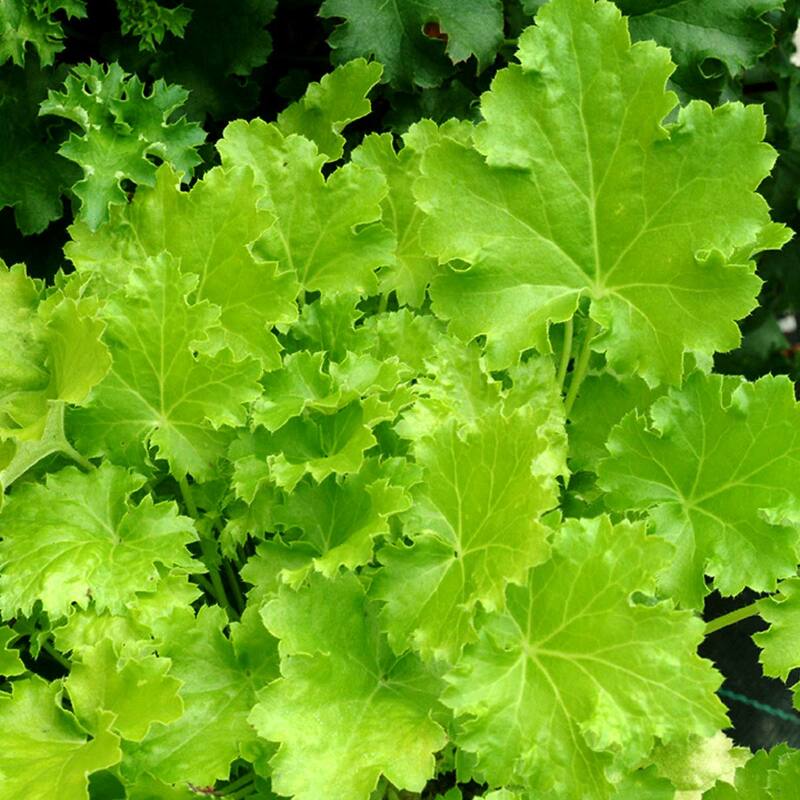 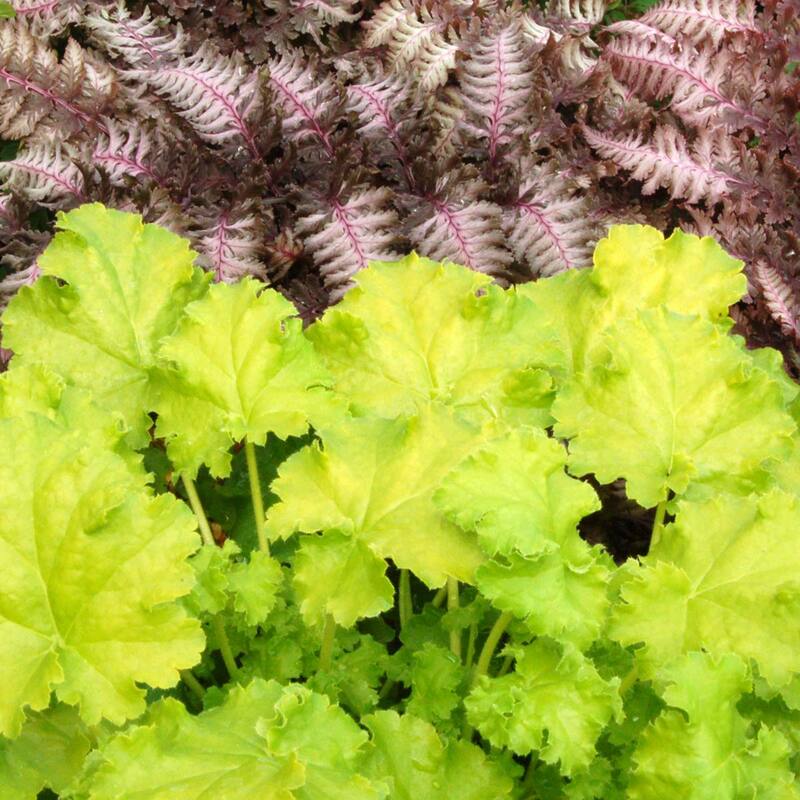 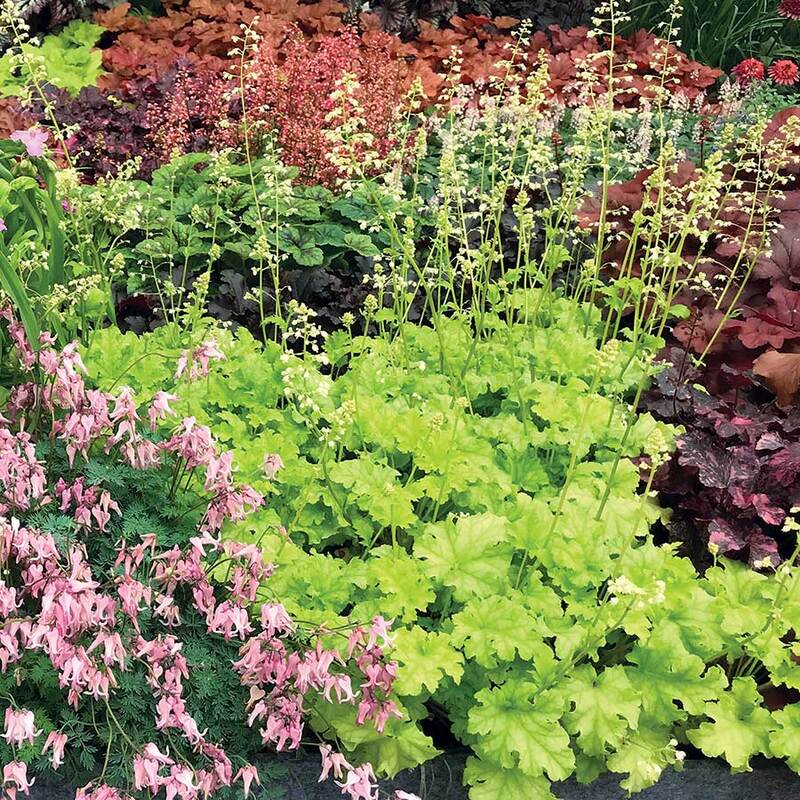 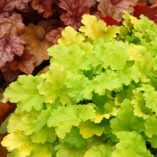 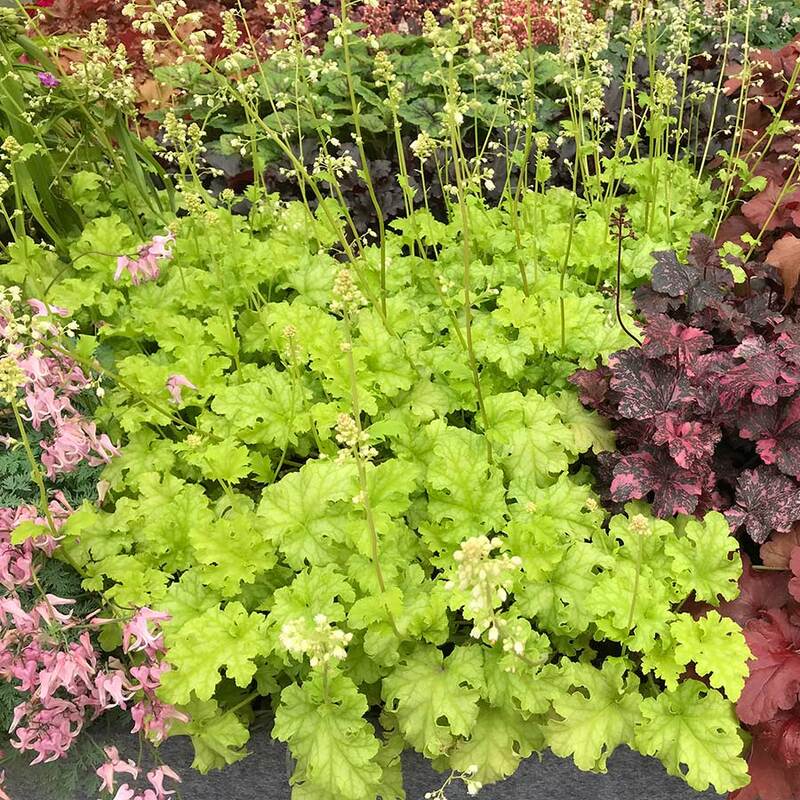 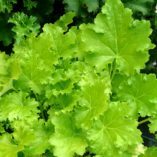 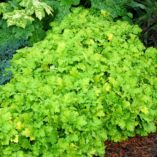 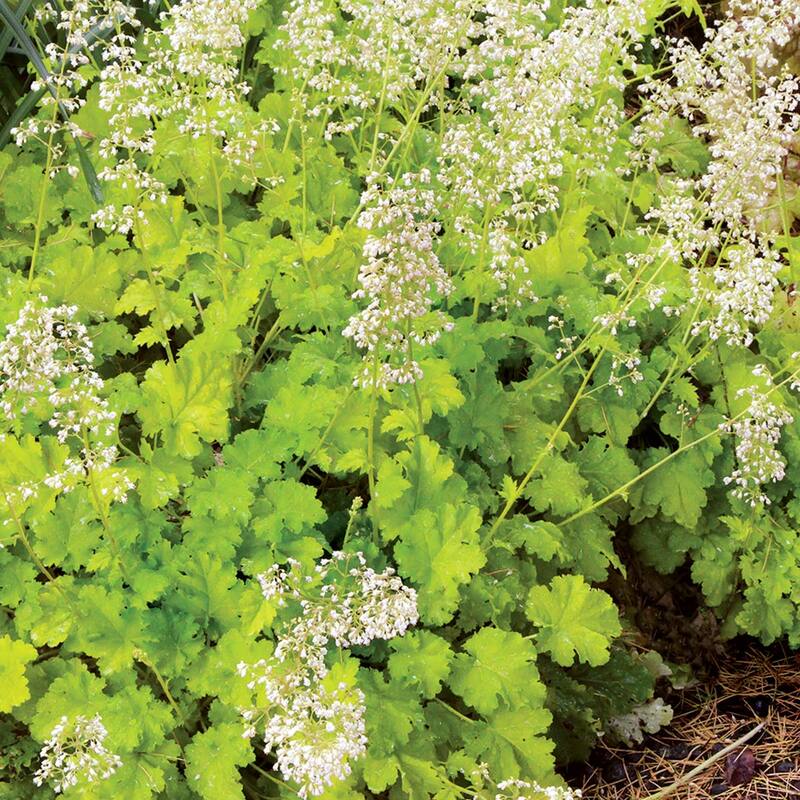 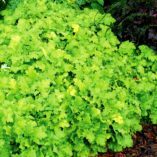 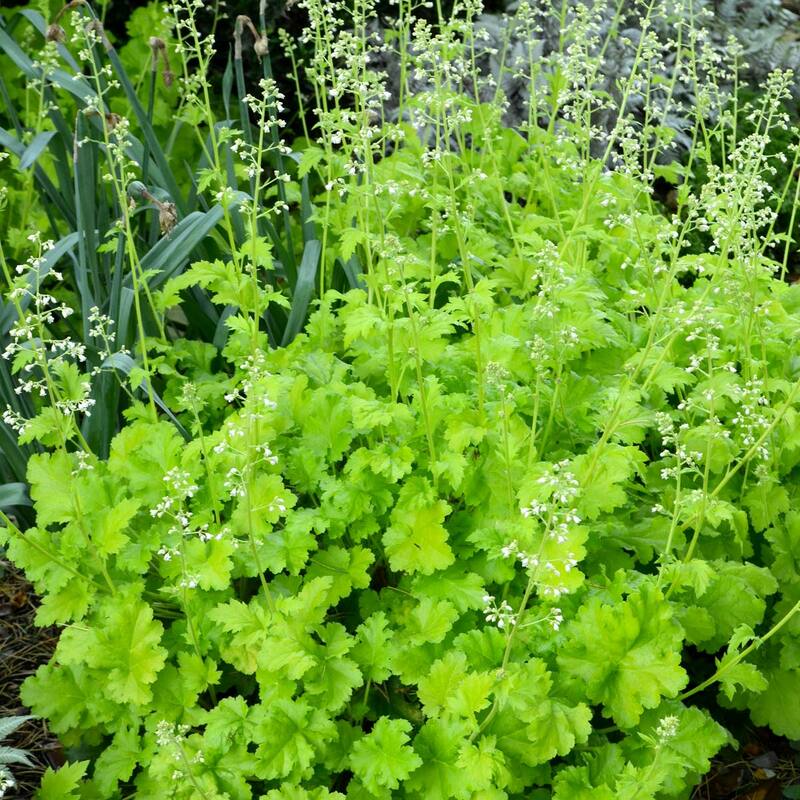 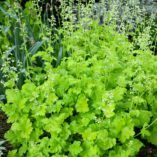 Heuchera ‘Lime Rickey’ | TERRA NOVA® Nurseries, Inc. 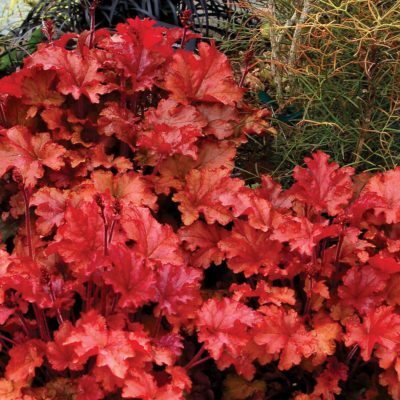 Consistently one of our top selling Heuchera. 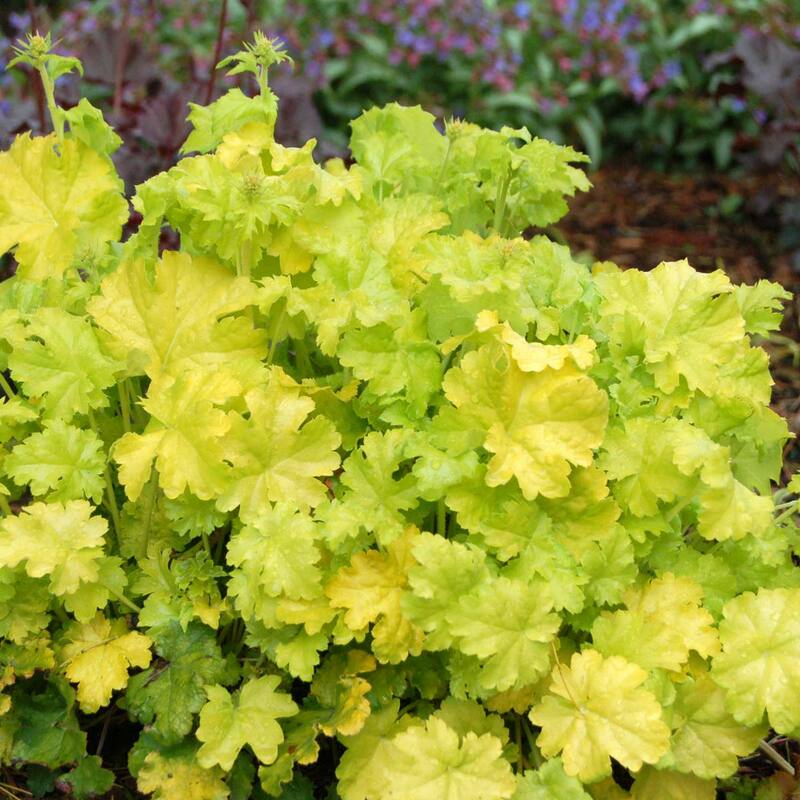 Lime-green to chartreuse ruffled foliage provide multiseasonal interest in both gardens and mixed containers. 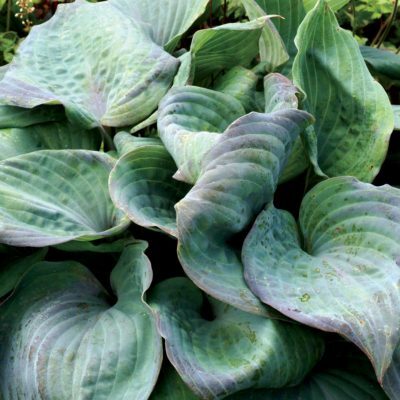 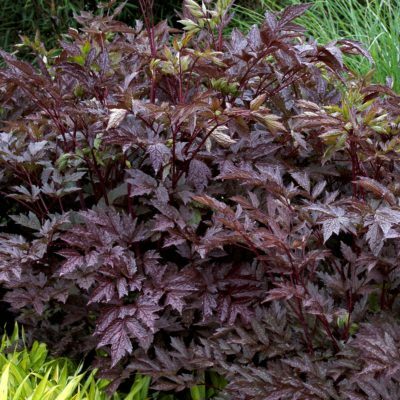 This refreshing color is the perfect contrast plant allowing it to play well with many purple-leaved plants. 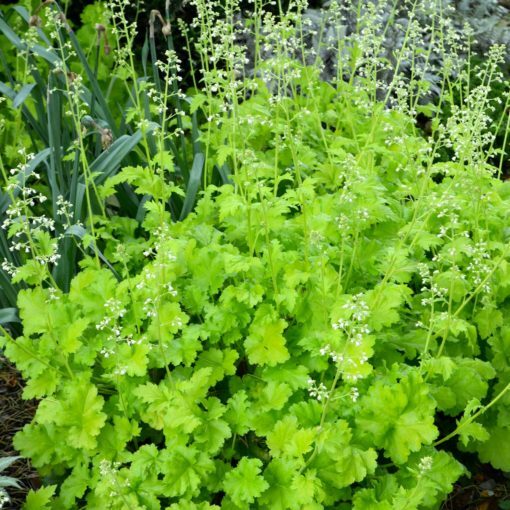 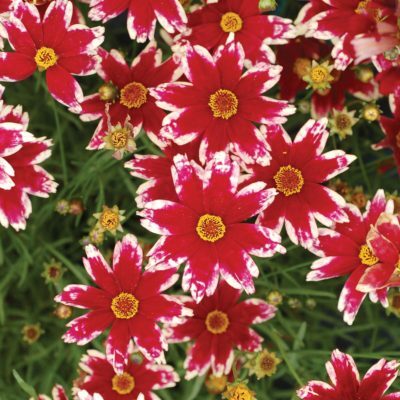 A vigorous grower which is topped with thousands of small pure white flowers in spring. 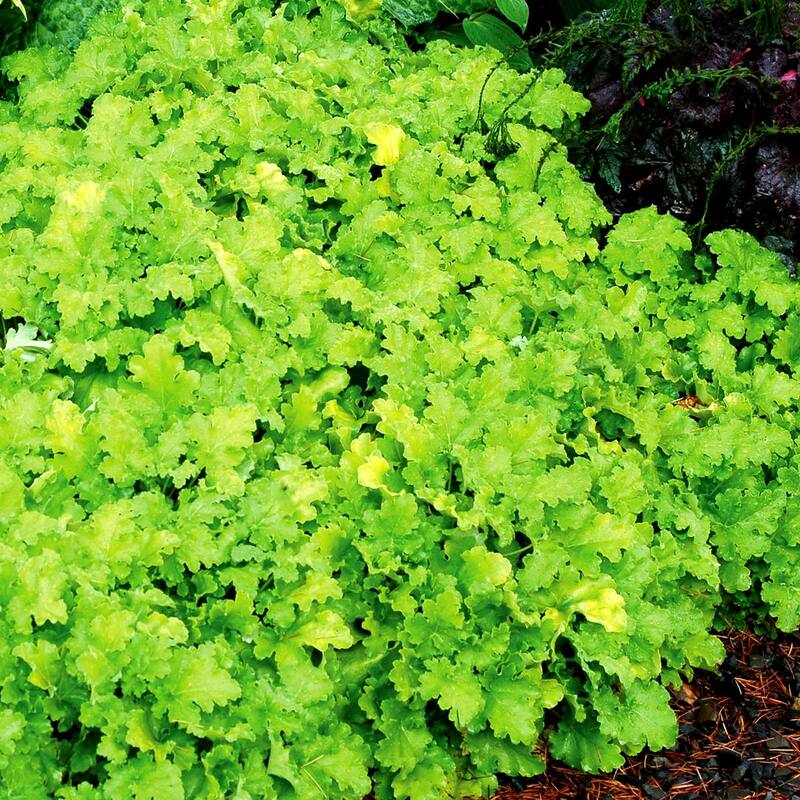 Makes a great house plant. 8" / 18" / 17"
It is similar to 'Key Lime Pie' which doesn't have ruffles and has dull pink flowers rather than white. Compared to 'Lime Marmalade' it is less ruffled with a lower habit and smaller size. 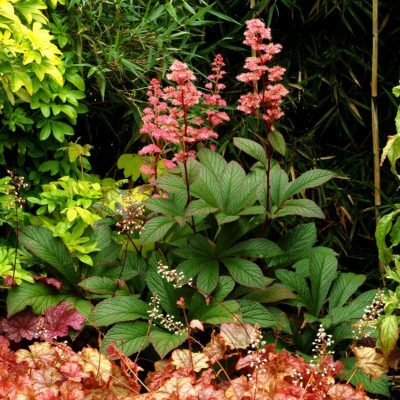 Great to brighten shady plantings. Overwintered well in Poland.